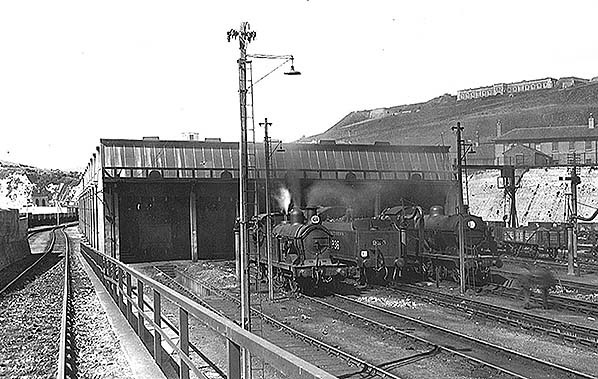 The Southern Railway shed at Dover Town c1934. This concrete 5-road shed, with an Eastlight roof was opened in 1928. It had one through road, as well as a large marshalling yard at the rear, to the west of the Town station. It included a 65ft turntable, a coaling plant, and a water tower with a water softener plant. The shed closed on 12 June 1961.